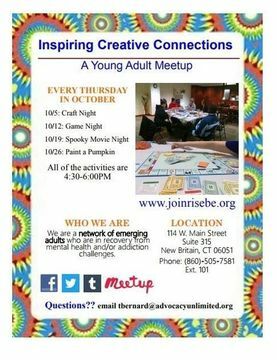 Please join us for our upcoming young adult Meet Up! Join us for our Upcoming Young Adult Paint Night! Join Us for our 2nd Annual Young Adult Halloween Party! 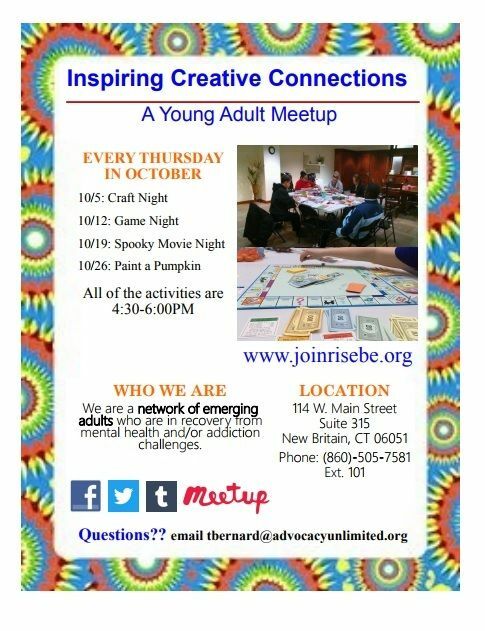 Get Connected at this Young Adult Paint Night! Join Rise Be, a peer-run initiative for young people in Connecticut, is excited to announce our weekly Young Adult Meetups hosted at our New Britain office. Join us to explore various activities, connect with other young people (18-29), and inspire creativity.